Welcome to 5th Grade Math. Here you will find an overview of what you can expect in this course. The student will learn place value through the billions, as well as learn how to compare and order those numbers. The student will learn the rules for rounding and practice this skill by estimating numbers. Short assessment over what was learned in Lessons 1 and 2. The student will learn the ideas behind the standard algorithm for adding and subtracting and practice regrouping in both instances. The student will learn the ideas behind the standard algorithm for multiplying. They will discover why this shortcut works and will practice multiplying 3 digit by 2 digit numbers. Short assessment over what was learned in Lesson 3 and 4. A 2 part video lesson in which the student will learn the ideas behind dividing with 1 and 2 digit divisors and will be shown multiple examples on how it is done. The student will learn why it is important to pay attention to when they need a zero in their quotient as a zero placeholder. Short Assessment over what was learned in Lesson 5 and 6. The student will learn part to whole relationship in this lesson and how it relates to decimals. The student will learn the place value for the fractional parts of a whole as well as learn to compare and order decimals. Short assessment over what was learned in Lesson 7 and 8. The student will learn the importance of lining up place value correctly before adding and subtracting decimals. The student will also learn that it is very important to add the required zero at the end if needed in a subtraction problem. The student will learn what a mixed number and improper fraction is as well as how to change from one to another. Short Assessment over what was learned in Lesson 9 and 10. The student will learn how to identify equivalent fractions as well as make equivalent fractions. The student will learn what is meant by factors of a number. The student will also learn how to list the factors of a number and know when their list is complete. The student will learn what a prime and composite number is and how to identify numbers accordingly. Short assessment over what was learned in lesson 11, 12, and 13. The student will learn how to find the Greatest Common Factor between 2 numbers and take the GCF to simplify a fraction to lowest terms. The student will learn how to compare fractions by comparing to benchmarks of 0, 1/2, and 1 and to use logical reasoning as well as a common denominator to help determine order of fractions. The student will learn how to add and subtract fractions with like and unlike denominators using the least common denominator. Short assessment over what was learned in Lesson 14, 15 and 16. The students will learn what a variable is and why we use them to write algebraic expressions and equations. The student will learn to identify when the pattern in adding and subtracting in a table and be able to be able to identify the specific pattern. The student will learn to identify patterns that are multiplication and division and be able to identify the rule in a table of values. Short assessment over what was learned in lesson 17, 18, and 19. The student will all the necessary geometric vocabulary that is used in the future lessons as well as how to name and write geometric features such as points, lines and rays. The student will learn how to measure angles using a protractor as well as classify angles. The student will learn what attributes make a polygon and how to determine if it is regular. The student will also learn how to name triangles by their sides and angles. The student will learn the names and attributes of quadrilaterals which include parallelogram, trapezoid, rectangle, rhombus and square. Short assessment over what was learned in lesson 20-23. The student will learn what a face, edge and vertex is of a 3D solid. The student will also be able to identify if a solid is a prism, pyramid, cylinder or cone. The student will learn how to plot coordinate points on the first quadrant of the coordinate plane. The student will learn the 3 transformations that are plotted on a coordinate grid. Short assessment over what was learned in lesson 24-26. The student will learn the appropriate units of customary measure used for length, capacity and weight. The student will learn how to convert customary units of measure including feet, inches, yards, miles, gallons, quarts, pints, cups, ounces, pounds and ton. Short assessment over what was learned in Lesson 27 and 28. The student will learn about the metric units used to measure length, capacity and mass. The student will learn how to convert metric units for measure including meters, centimeters, millimeters, liters, kiloliters, grams and kilograms. Short assessment over what was learned in Lesson 29 and 30. The student will learn the formulas used to find perimeter of a rectangle and square. They will also practice how to find perimeter. The student will learn the formulas used to find area of squares, rectangles and parallelograms and practice finding the area of these items. The student will learn the formula for finding the area of a triangle and practice finding the area of triangles. The student will find the volume of a rectangular prism. The student will also find a missing side when given two side lengths and the volume. The student will find elapsed time given starting and stop times. The student will also find start or stop times given the elapsed time and a start/stop time. Short assessment over what was learned in Lesson 31-35. The student will interpret bar and picture graphs to answer questions about the graphs. The student will learn how to interpret line graphs and answer question about them. The student will learn how to find measures of central tendency. The student will learn how to find outcomes in a probability experiment. The student will also learn the counting principle. The student will find theoretical probability of an experiment and make predictions. Short assessment over what was learned in lesson 39 and 40. This course is designed to give students a concrete look at all concepts in 5th grade mathematics. I don't just explain how to do the lesson, but I explain why it works and where all the shortcuts in math come from. Each video lesson includes the vocabulary that is important in the lesson as well as an example. The course is set up in a way that builds upon itself naturally. For example, once fractions have been taught, then decimals can be taught because the student understands part to whole relationships. Each lesson has thorough video lesson with practice worksheet. The lesson is followed up with a video to show how to solve each problem on the worksheet to check your answers. Every 2-3 lessons there is an assessment with answer key to determine how well the information is being retained. The course begins with a review of whole number concepts needed to build on to 5th grade mathematics with topics such as fractions and decimals. Topics covered include all operations with whole numbers, understanding fractions, adding and subtracting fractions, patterns, expressions, equations, geometry concepts including 2-D and 3-D shapes. We also work on measurement concepts with both customary and metric units. We end the course with probability and statistics lessons. 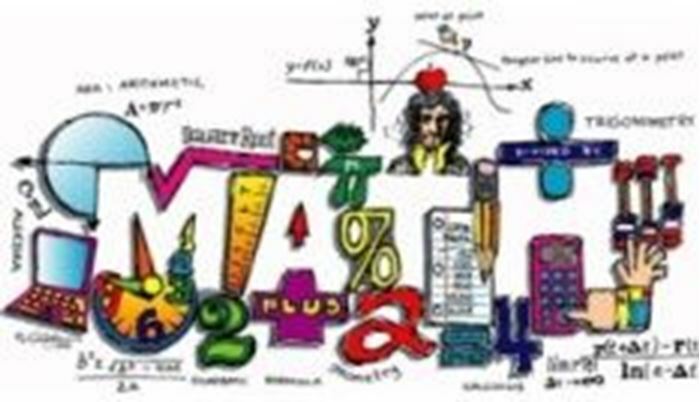 This course is intended for all students entering 5th grade who have demonstrated proficiency in 4th grade mathematics. Content and pacing is geared to meet needs of students performing at or above grade level, or advanced 4th grade students. This course is also appropriate for 6th grade students looking for a comprehensive review of 5th grade math. Interests: I like to try anything that deals with technology. I am always learning new and different things. Skills: I love to crochet and knit. Associations: I love animals, so I volunteer at the local SPCA. Issues I care about: My students that I teach make a difference in my life just as much as I do theirs. I love teaching. My students are my life line. Although I always enjoy my summer break, I look forward to going back to school in the fall to be able to touch the lives of a whole new group of kids. Answer key to lesson 1 and 2 test. Answer key to lesson 3 and 4 test. Answer key to lesson 5 and 6 test. Answer key to lesson 7 and 8 test. Answer key to lesson 9 and 10 test. Answer key to lesson 11-13 test. Answer key to lesson 14-16 test. Answer key to lesson 17-19 test. Lesson 22 Annotated Notes, Practice Answers and Video of Proof of 3 angles of a triangle add to 180 degrees. Lesson 23 Annotated Notes, Practice Answers, and Video of Quadrilateral 4 angles equal 360 degrees. Answer key to Lesson 20-23 test. Answer key to lesson 24-26 test. Answer key to lesson 27 and 28 test. Answer key to lesson 29 and 30 test. Answer key for lesson 31-35 test. Answer key for lesson 36-38 test. Answer key to Lesson 39 and 40 test.